In this section we’ll discuss the importance of intellectual property law and explain what is covered by it. Patent pending: Solar Puff is a solar-powered inflatable light that was designed to provide an affordable and renewable light source to disaster-relief victims. 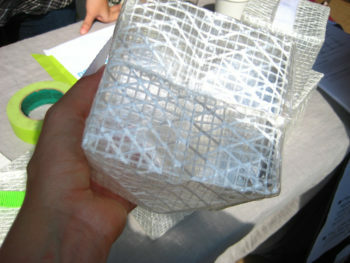 The light uses the principles of origami and foldable design to “pop” open from a flat envelope into a cube. To this point we have discussed laws governing people and things, but what about laws protecting knowledge or ideas? The notion that knowledge is valuable goes back to ancient times. In the 1st century AD, Juvenal (55–130) observed, “All wish to know but none wish to pay the price.” However, the value of knowledge in an economic or business sense—knowledge recognized as a type of asset or property that one might wish to protect—is much more recent, dating back to the seventeenth century or so (the Statute of Monopolies  and the British Statute of Anne  are seen as firmly establishing the concept of “intellectual property”). Since then, a special body of law concerning the protection of knowledge and ideas has developed. Known as intellectual property law, these laws cover intangible assets such as patents, trademarks, and copyright. The term intellectual property refers to creations of the mind—creative works or ideas embodied in a form that can be shared or enable others to recreate, emulate, or manufacture them. There are three main ways to protect intellectual property: patents, trademarks, and copyrights. Patents protect inventions and improvements to existing inventions for a limited period of time in exchange for detailed public disclosure of those inventions. A Creative Commons (CC) license is one of several public copyright licenses that enable the free distribution of an otherwise copyrighted work. A CC license is used when an author wants to give people the right to share, use, and build upon a work that they have created. CC provides an author flexibility and protects the people who use or redistribute an author’s work from concerns of copyright infringement as long as they abide by the conditions that are specified in the license by which the author distributes the work. According to Cornell University Law School, “intellectual property is any product of the human intellect that the law protects from unauthorized use by others.” Take a look at the following video to learn more about what intellectual property is and why it matters.